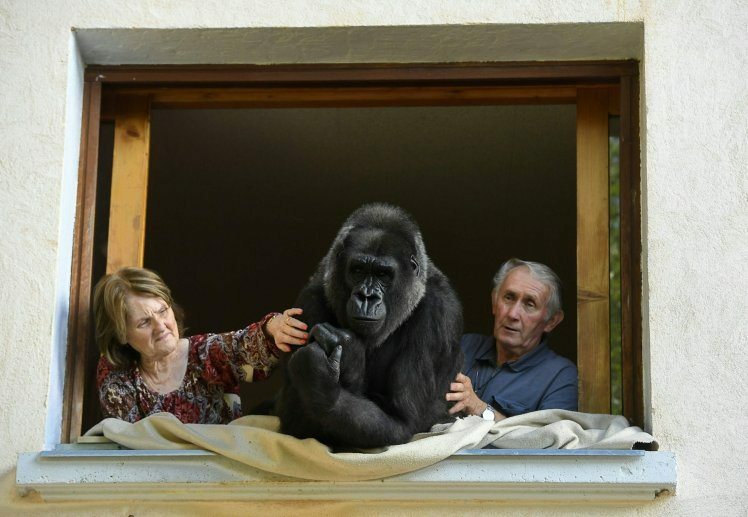 Most people might opt for a pet dog or rabbit, but this French couple have done things slightly differently. 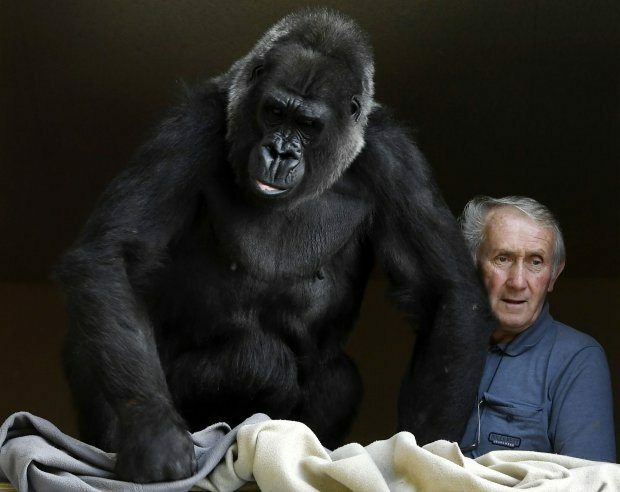 For the past 18 years Pierre and Eliane Thivillon have been living with a gorilla called Digit. When she first came to them as a baby, the goriila weighed just four pounds and six ounces. Now, obviously, she is slightly larger not that she still doesn’t turn to her adoptive parents for help picking food from her teeth or pulling a splinter from her hand. But before you go thinking you might like to do things the same way, be aware that it is a bit of a commitment. 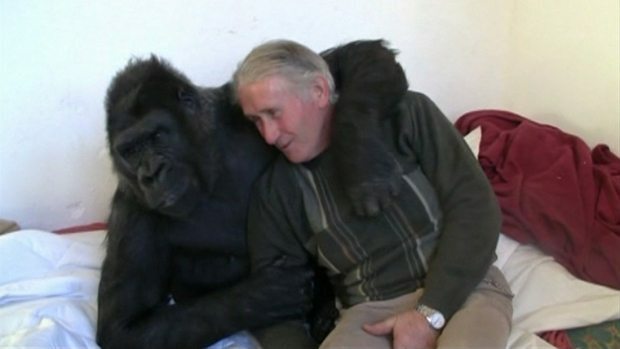 While Digit was growing up the couple could not leave her on her own, meaning they didn’t go out for 13 years. 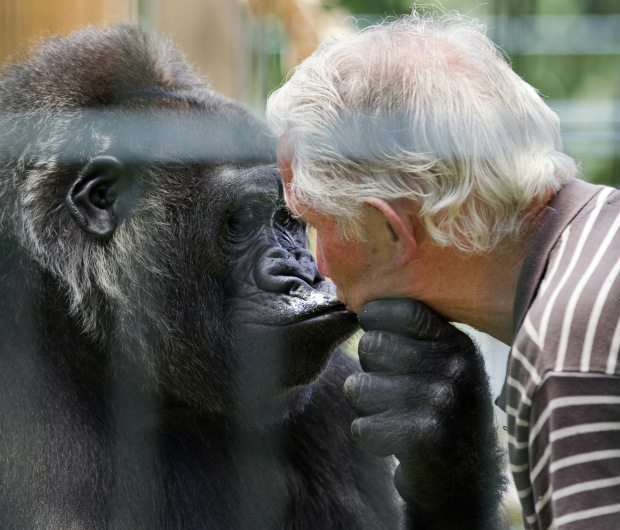 Also, Pierre and Eliane, who live near Lyon, run a private zoo so they kind of know what they are doing. ‘We cannot leave Digit overnight with anyone else, which means we haven’t be able to go out for 13 years,’ Pierre said a few years ago. 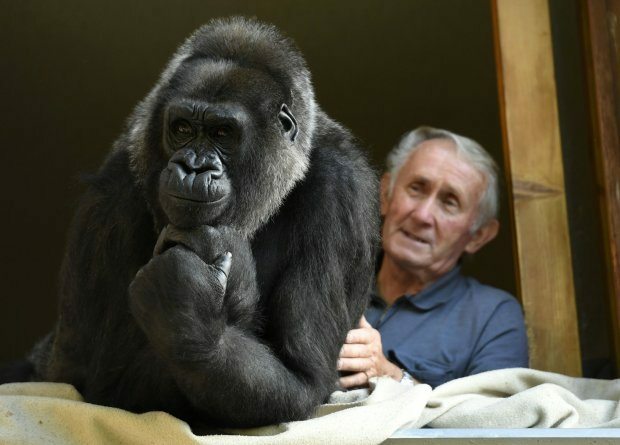 Now Digit is a little older, they have helped her grow more independent, creating an enclosure beside their home. But she is a little too big to sleep in the same bed as the couple any more, not that doesn’t try on the odd occasion.